The Patient Job, Gerard Seghers (1591–1651). In the public domain, wikimedia commons. There is a popular expression that someone has “the patience of Job,” probably based on a reference in the New Testament letter of James: “You heard about the patience of Job” (James 5:11). Job’s patience had apparently become proverbial by the time the letter of James was written, probably around the middle of the first century CE. But when we read the biblical book of Job we are hard-pressed to find much evidence of Job’s patience. The Greek word (ὑπομονή hypomonē) translated “patience” in James could equally mean “endurance” or “steadfastness”, but these are hardly major themes in Job either. Job is hardly a paragon of patience or endurance. In fact, he even protests that he has every right to be impatient! “Why should I not lose my patience?” (Job 21:4 NJPS). He constantly protests his innocence, complains that he is suffering without cause, and demands justice. The only time the word ὑπομονή hypomonē appears in the Greek version of Job is to say that God is wearing out Job’s patience, like water wears down rocks (Job 14:19LXX)! So where did James get the idea that Job was a model of patience or endurance? David deSilva  argues convincingly that, rather than quoting from the biblical book of Job, James was more likely referring to the Testament of Job (hereafter TJob), a pseudepigraphical work probably written in the first century BCE or first century CE. TJob is based on the canonical Job but the emphasis is different: this Job is a model of endurance, and the word ὑπομονή hypomonē used by James occurs several times throughout the book. DaSilva points to linguistic similarities between James 5:7–11 and TJob and argues that James learned a version of the story of Job from a tradition beyond the canonical Job that came to written expression in TJob, which “presents a fully developed picture of Job as an athlete of endurance, holding on to his commitment to obey the One God and empowered to bear any temporal loss by God’s promise of a future reward for the righteous”. 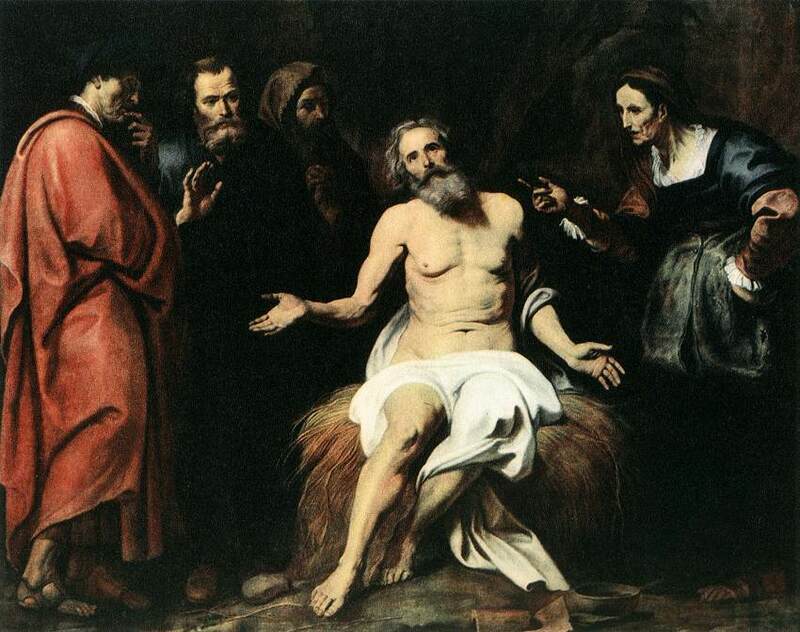 James’s brief reference to the patience/endurance of Job would presume that his audience knows the reshaped Job story from a version such as TJob and that it is this tradition, rather than the biblical book of Job, to which he refers. “The Testament of Job: Job Becomes an Example of Patient Endurance”, chapter 9 in The Jewish Teachers of Jesus, James, and Jude: What Earliest Christianity Learned from the Apocrypha and Pseudepigrapha, Oxford University Press, 2012, pp. 237-251. Zechariah 11:12-13Then I said to them, “If it seems good to you, give me my wages; but if not, keep them.” And they weighed out as my wages thirty pieces of silver. Then the Lord said to me, “Throw it to the potter” – the lordly price at which I was priced by them. So I took the thirty pieces of silver and threw them into the house of the Lord, to the potter. Matthew 27:9-10 is the most puzzling citation of Jeremiah in the New Testament. In fact, it is possibly one of the most puzzling citations of any Old Testament text. Matthew introduces this ‘quotation’ with the formulaic “Then was fulfilled what had been spoken by the prophet Jeremiah, saying …” The most remarkable thing about this is that nowhere in any of our manuscripts of Jeremiah do the quoted words appear. The wording which is most similar is Jeremiah 18:2-3 which refers to Jeremiah being directed to go to the potter’s house. Both texts refer to a potter but there the similarity ends. In fact, Matthew’s quotation parallels Zechariah 11:12-13 more closely than any text in Jeremiah. 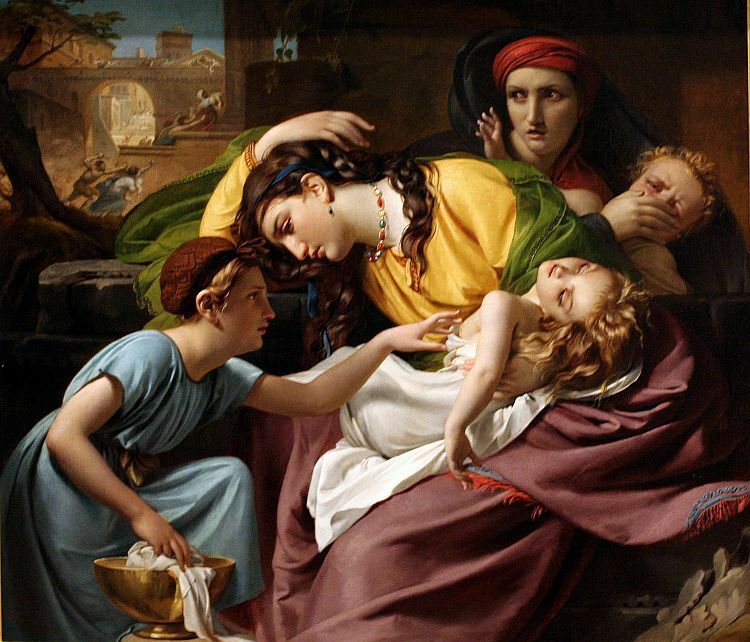 Zechariah refers to thirty pieces of silver as well as a potter, but not to a field. Elsewhere in Jeremiah (32:6-9) the prophet bought his cousin’s field in Anathoth, but there the price is seventeen shekels. 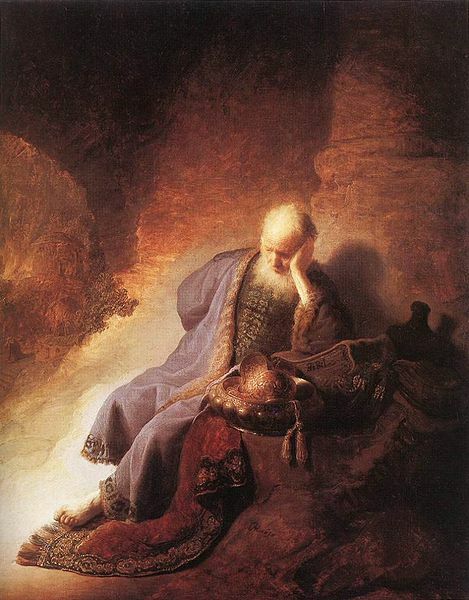 Matthew’s ‘quotation’ appears to be a composite of Jeremiah 18:2-3 and Zechariah 11:12-13 with a possible allusion to Jeremiah 32:6-9 and it is difficult to see how it is a ‘fulfilment’ of any specific prophecy. Craig Blomberg has argued that “Rabbis would sometimes create a composite quotation of more than one Scripture but refer to only one of their sources by name, often the more obscure one (though sometimes also the more important one) to ensure that others would pick up the reference”. Matthew’s quotation of Zechariah preserves a clause found in the Masoretic Text but missing from the Septuagint: “the lordly price at which I was priced by them”. His concluding clause (“as the Lord directed me”) is not in either source text, but could be alluding to Jeremiah 13:15 “So I went and hid it by the Euphrates, as the Lord commanded me”. Neither source text refers to a potter’s field, although this is a key item in the fulfilment of the prophecy to which he is referring. Later in the story about the potter in Jeremiah (19:2) the prophet is instructed to “buy a potter’s earthenware flask, and take some of the elders of the people and some of the elders of the priests, and go out to the Valley of the Son of Hinnom at the entry of the Potsherd Gate”. We may be tempted to see a connection between the Valley of the Son of Hinnom (known as Gehenna in the Gospels) and the traitor Judas Iscariot but Matthew makes no such connection, nor does Luke when writing about Iscariot’s fate in Acts 1:18-20. What is Matthew doing here with a composite quotation which he attributes to Jeremiah and how can he say that Iscariot’s actions ‘fulfil’ Scripture when there is no such prophecy? Joseph Fitzmyer has noted that “the use of well-known introductory formulae to cite a passage which is not found in the Old Testament (or at least which is not found in any of the known texts or versions)” is a phenomenon found both in the NT and in the Qumran literature” (think “Dead Sea Scrolls”). He put this in the category of “modernized texts” rather than as a literal fulfilment of prophecy. This could also be a case of what he later describes as an “accommodated text”, that is, one which is “wrested from its original context or modified somehow to suit the new situation”. Archer and Chirichigno put this text in the category of quotations which give the impression that unwarranted liberties were taken with the Old Testament text in the light of its context. It would probably be even better, in my view, to categorise the Matthew quotation as a composite allusion rather than a quotation. Craig Blomberg, [“Matthew” in G.K.Beale and D.A.Carson (eds.) Commentary on the New Testament Use of the Old Testament, (Grand Rapids: Baker Academic, 2007), p. 95]. Unfortunately Blomberg doesn’t provide any sources for or examples of this Rabbinic practice. Archer and Chirichigno also claim that in combining elements from both Jeremiah and Zechariah Matthew is “simply conforming to contemporary literary custom when he cites the name of the more famous of the two” [Archer, Gleason L. and G. C. Chirichigno Old Testament Quotations in the New Testament: A Complete Survey (Chicago: Moody, 1983) p. 163]. but they don’t provide references for their claim either. Joseph A. Fitzmyer, “The Use of Explicit Old Testament Quotations in Qumran Literature and in the New Testament”, New Testament Studies 1961;7(04):297-333, p. 304. Another example of this in the Gospels is Matthew 2:23 “he shall be called a Nazarene” while ‘As for that which it said, “Your own hand shall not avenge you”‘ (CD ix 8-9) is an example of a Qumran text quoting an unknown source. Ibid, p.316. 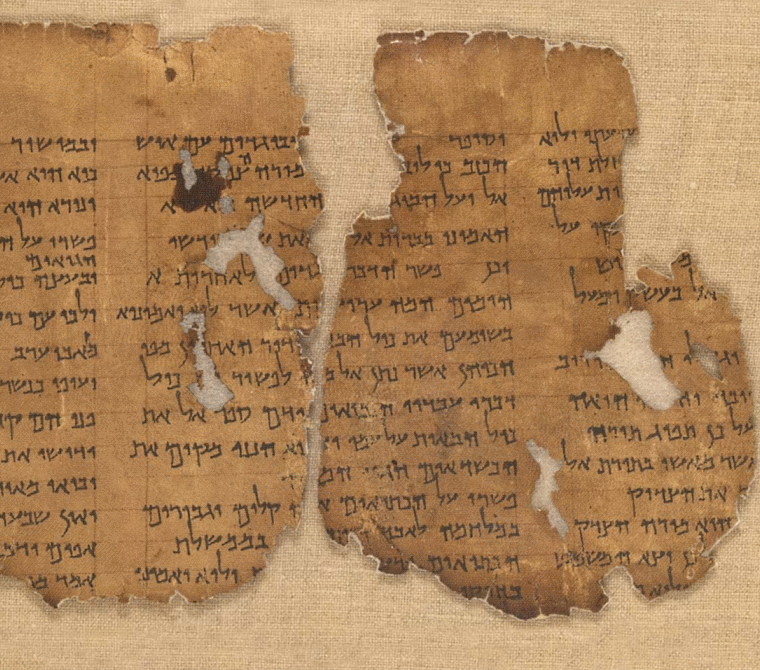 Fitzmyer finds twelve examples of accommodation in Qumran texts. Does the New Testament always quote from the Septuagint? But the differences between the New Testament quotations and the Septuagints could be explained on other grounds as well. The NT writer may have been making his own translation of a Hebrew text (or an Aramaic translation – a targum – for that matter), quoting or paraphrasing from memory, or making a deliberate change for his own theological reasons. I’d like to explore these possibilities with a few examples. Mark 7:6-7 and Matthew 15:8-9 are parallel accounts which include a quotation from Isaiah 29:13. In Beale and Carson’s “Commentary on the New Testament Use of the Old Testament” on Mark 7:6-7 the author (R.E. Watts) notes that Mark’s quotation “generally follows the tradition in the LXX” but is actually closer to the Masoretic Text than the Septuagint (p. 163). This suggests that Mark either used a different Greek manuscript which was closer to the MT, or he was translating directly from the MT. To illustrate this, if we compare the NT quotation with the LXX we see that the NT has the same words for the latter part of the verse but in a different order and omitting καὶ, demonstrating that Mark and Matthew were not dependent on the LXX. A careful analysis of the NT quotations of the OT reveals that practically every quotation has at least minor variants from the Septuagints (or major ones) and is never verbatim. That is significant. Either the NT writers were using different Greek manuscripts to the extant versions of the Septuagints or something else was happening. If the Greek Jewish Scriptures were regarded so highly by the NT writers why do they appear to be so careless in quoting it (if they were indeed quoting it) so as to have so many variants? There isn’t a single quote in the entire New Testament which quotes verbatim from any Septuagint manuscripts that we have. I think the current scholarly consensus is that for at least the first two centuries of Christianity the church used a variety of Greek translations as well as Hebrew manuscripts. Some New Testament quotations of the Old Testament appear to be translations directly from a Hebrew text, while others are paraphrases, possibly from memory. From this one example I think we could conclude that the NT writers were either using a different Greek text to our Septuagints, they were making their own translation from the Hebrew, or they were using a Septuagint but changing it or improving it as they went, but more examples will follow.